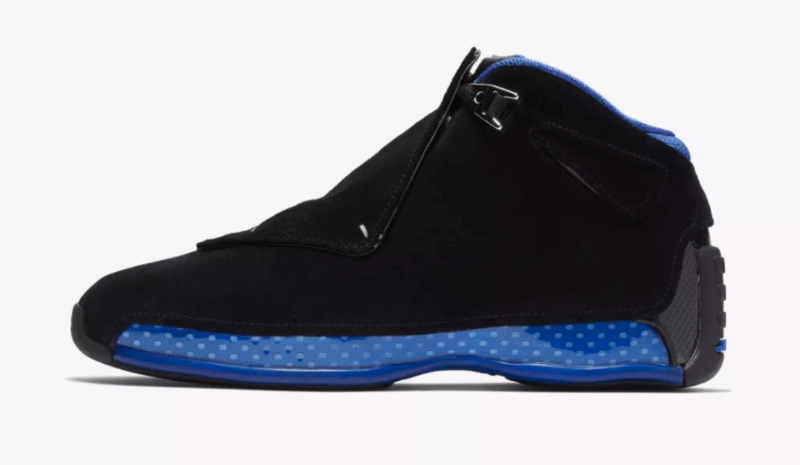 The Air Jordan 18 Black Sport Royal is returning back after making it’s first-ever appearance in 2003. 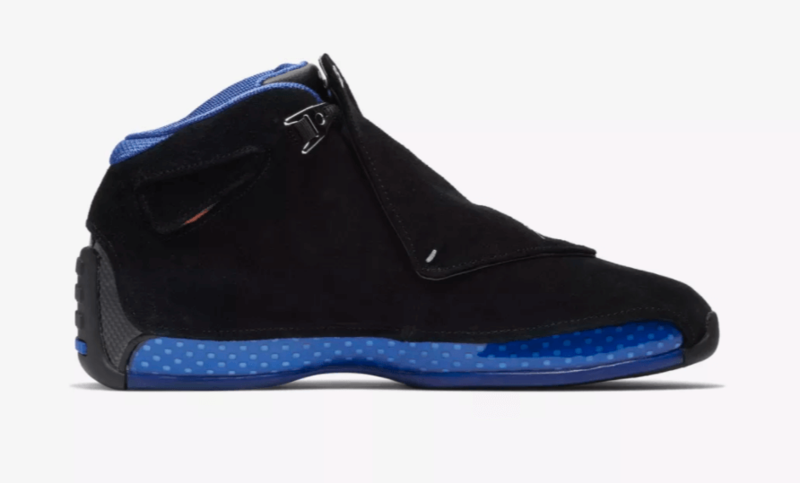 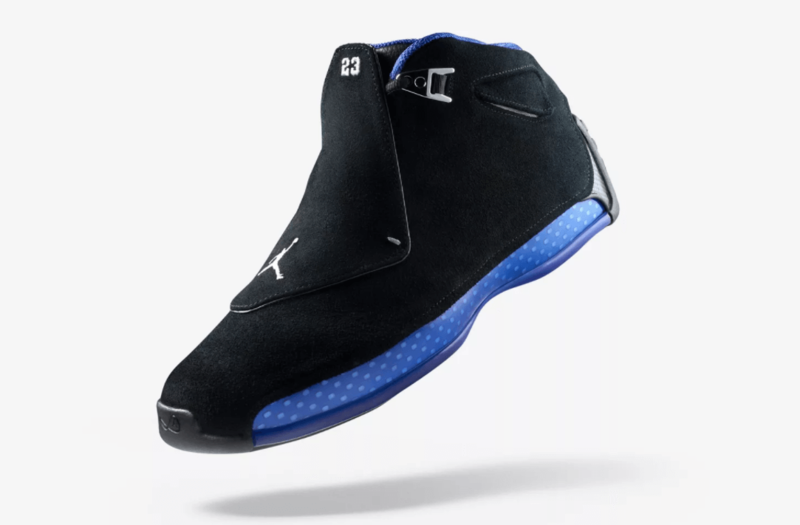 This upcoming Air Jordan 18 Black Sport Royal basically comes covered in its OG theme featuring a Black suede upper with a removable shroud. 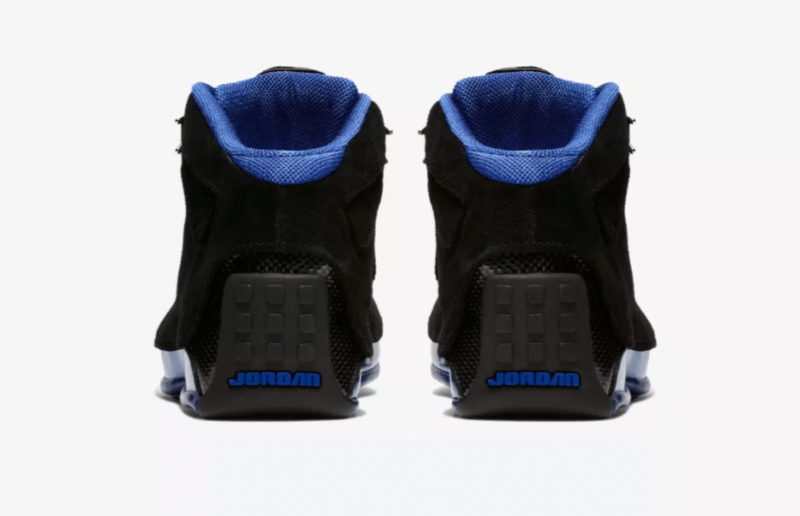 The shoe has been further enhanced with contrasting metallic silver upper eyelets and royal blue lining and trimming. 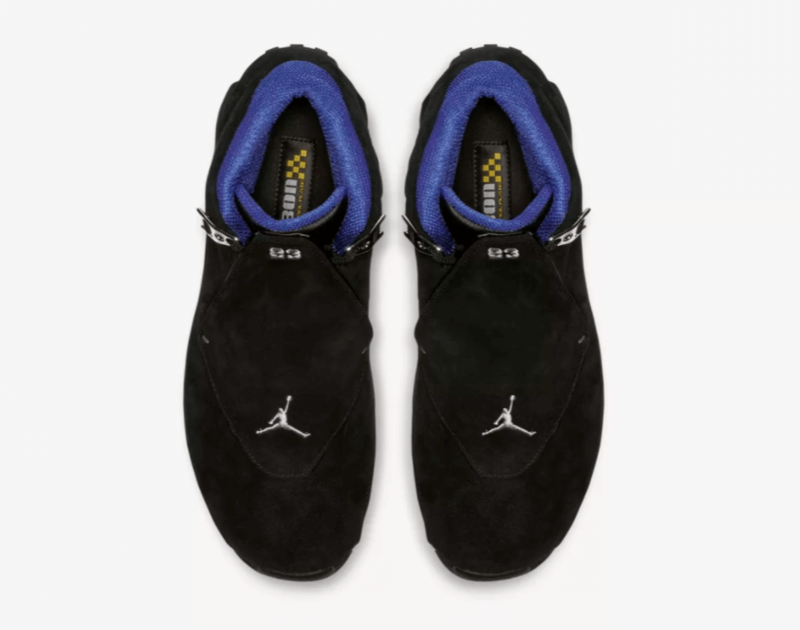 However, the eye-catching part about this shoe remains to be the flaps on its ankle portion that nods to the vents of the Lamborghini Murcielago. 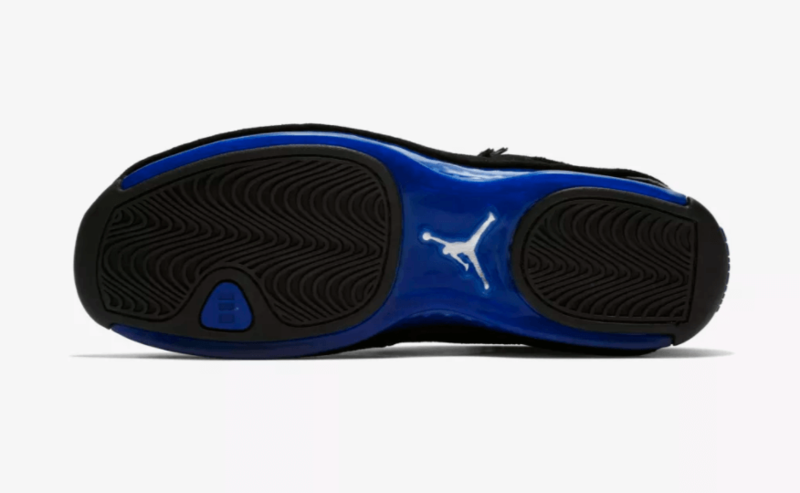 At last, completing the design altogether is a blue midsole and Black rubber sole. 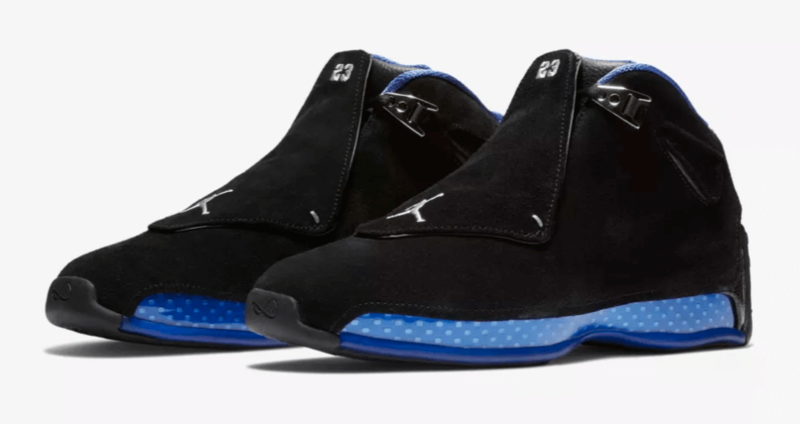 Check out more detailed images below and expect the Air Jordan 18 Black Sport Royal to release on October 25 according to zsneakerheadz for a retailing price of $225.